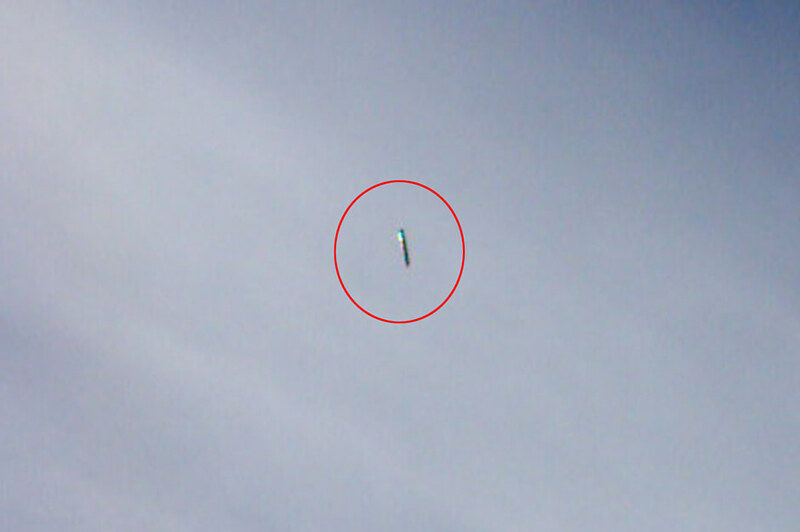 The sighting lasted around 30 minutes and shows the object move slowly across the sky. THIS is the moment two police officers claim to have captured their close encounter with a UFO on camera. The duo watched as the cigar shaped object moved slowly across the sky over the North East of England. The UFO was said to be filmed by two off-duty police officers near Consett, in County Durham. The sighting, which lasted around 30 minutes, is one of hundreds made by police officers over the past 115 years. Former police detective Gary Heseltine has studied the footage and believes it is genuine. Gary, 56, has collected and studied more than 500 police sightings dating back to 1901 involving around 1,000 officers. And he has revealed how two security officers, who were guarding one of Margaret Thatcher’s key Cabinet members, witnessed a cylindrical metallic UFO the size of a football field over the house in North Yorkshire in Spring 1981. One officer was so alarmed he pulled out his gun but his colleague warned him not to fire. Another case involved two uniformed officers who saw a huge black silent triangle the size of three football pitches fly over the A40 in Northholt in Middlesex. Revealing another incident, Gary, who now edits UFO Truth Magazine, said: “Three uniformed police officers parked up in a rural area when they saw a bright flash on the horizon near Long Crendon, Bucks. “Several minutes later a huge object ‘appeared’ in front of them, the size of a football field, and was shining a wide beam of light across the terrain that was the width of a football field. Gary Heseltine has collected and studied more than 500 police sightings dating back to 1901 involving around 1,000 officers. The retired cop, who was heavily involved in the Selby rail disaster in 2001, believes the truth really is out there after he witnessed a UFO as a teenager. Gary, who is married with two daughters, said: “I had my own sighting as a 16 year old boy in Scunthorpe, Lincs, in 1976 when I was walking a then girlfriend home. In 2002 Gary set up the Police Reporting UFO Sightings (PRUFOS) database to log reports from serving and retired officers. He started with just a handful but it has grown to 500 from 1,000 officers dating back to 1901. In 2013, he decided to retire early to become a full-time UFO detective. Gary, who lives in Scholes, West Yorkshire, is writing a book called ‘UFOs – Through Police Eyes’. He recently called on the Defence Minister Michael Fallon to make a new statement about the infamous Rendlesham Forest incident of 1980 when military personnel saw UFOs over the twin airbases of RAF Woodbridge and RAF Bentwaters in Suffolk.